A strong housing market has a healthy impact on its surrounding Columbus commercial realty, allowing it to be stable and vibrant. Luckily, this has been the case, as the housing market in Columbus, Ohio has shown significant signs of improvement in both September and October 2014. According to multiple reports, home sales in Columbus have increased in both September and October 2014, compared to 2013’s sales during the same months. October did see a slight drop from September’s sales numbers; this is typical of the housing market when cold weather is approaching. However, there was a noted increase from October 2013 to October 2014. It’s also been reported that housing prices rose 2.7 percent from last year, and prices on new condominiums increased 5.3 percent. The price range of the homes purchased was vast; Columbus, Ohio homes sold for as low as $3,100 and as high as $2 million in October. October’s home and condominium sales, alone, should not give you hope for the Columbus commercial realty market, but the overall real estate stability within Columbus. Having equally as impressive numbers in September should give you hope for commercial realty. What should be most encouraging to real estate sellers and buyers is the diminishing amount of homes available for sale. The average price of homes from September 2014 compared to September 2013, according to the realtor.com September 2014 Housing Report, experienced growth consistent with other year-over-year comparisons. 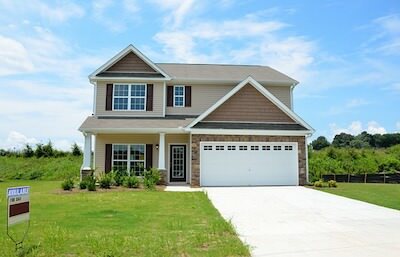 The report stated the average price was up 7.7 percent. Homes also spent less time on the market, according to the report. Homes in September 2014 were available for an average of three fewer days compared to September 2013; thus, spending an average of just 90 days on the realty market. While this report focuses on the exponential growth of the Columbus real estate housing market, it is important to understand that the housing market has an impact on the commercial real estate market. Its health will strengthen the commercial real estate market; and the recent residential sales spike is sure to be replicated within the commercial real estate market. Providing Central Ohio’s prospective real estate buyers (and sellers) with more than 75 years of expertise, The Robert Weiler Company is dedicated to ensuring you get the property you’re looking for. As Columbus’s and Central Ohio’s top commercial real estate firm, we want to help with all of your CRE needs. Call us at 614-221-4286 to speak with one of our foremost Columbus commercial realty experts today.